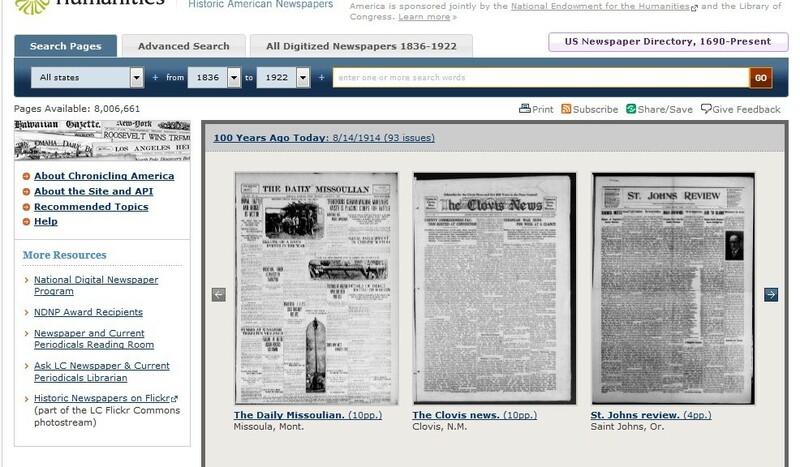 There is a lot that you can do with historic newspapers on Chronicling America–you just have to know how and where to look! There are numerous tutorials in a variety of formats out there to help with getting you started on the website with confidence. Powerpoint: “The Vermont Digital Newspaper Project: Starting a State Newspaper Digitization Program,” Part one and Part two. So, we here at VTDNP know just how complex searching on Chronicling America can get. 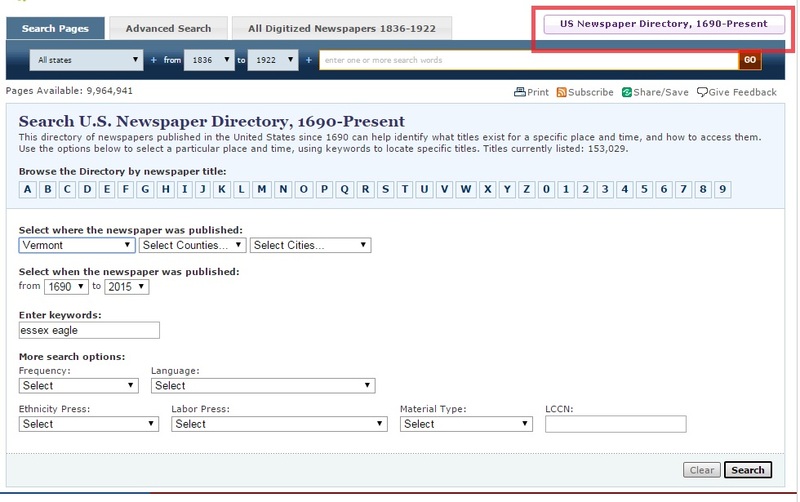 On our Facebook, we are posting regular updates on tips and tricks on how to use Chronicling America for searching historic newspapers. Check it out regularly! 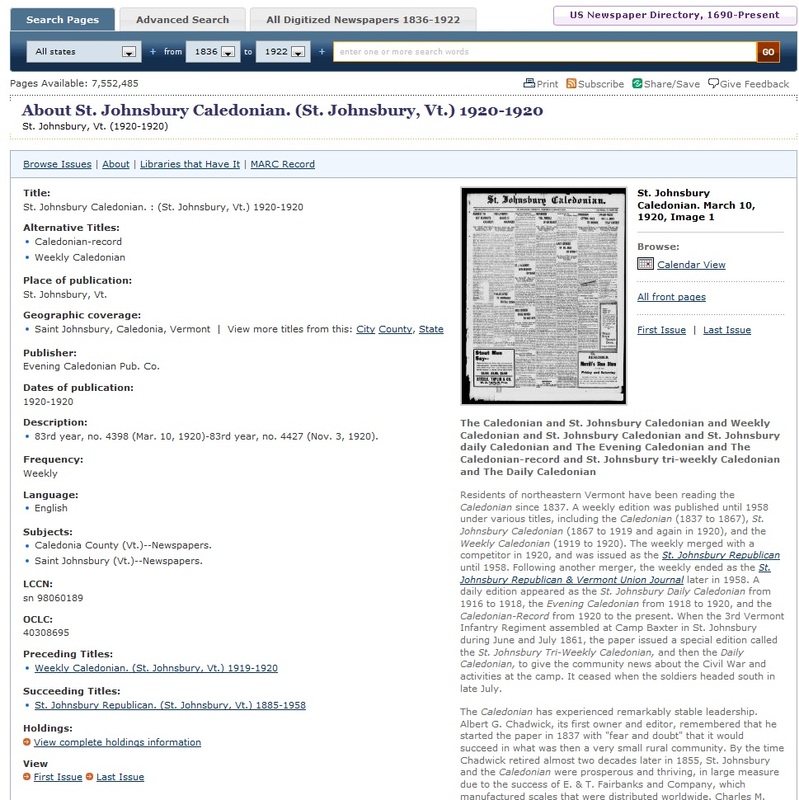 Did you know that ‪Chronicling America‬ has a neat search feature that allows you to search information for all U.S. newspapers, not just those being digitized? 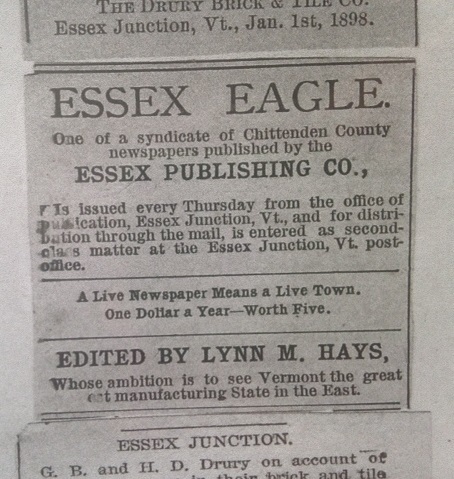 Our digital support specialist went to a talk on the Drury Brick &Tile Co. out of Essex Junction last night where the Essex Eagle was cited–Chronicling America’s search tool was most helpful to learn a little bit more about the paper! 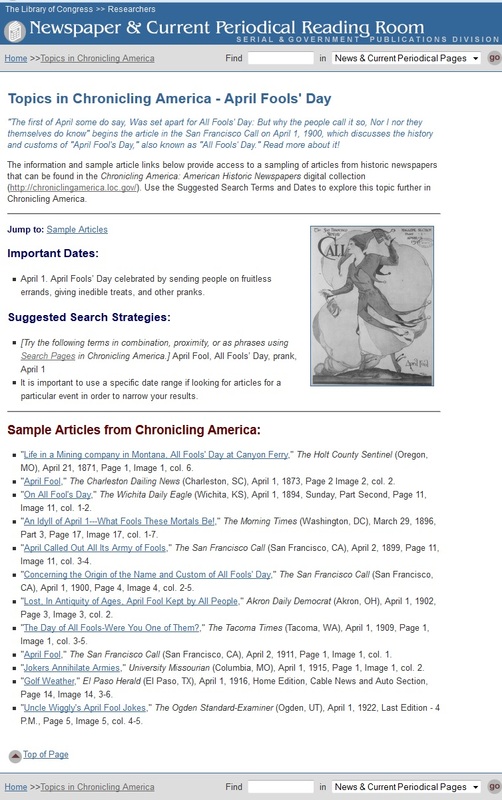 Directions: Just go to the Chronicling America webpage and then go up to your open search bar to add it as a search option! The “Text” button at the top every page allows you to view the text picked up by the Optical Character Recognition (OCR) technology. Why is this helpful? *You can easily copy and paste text from the newspaper pages. -Calendar View: Browse issues through a calendar format. -All Front Pages: Every front page is shown in chronological order. An example is below. Happy searching! A great place to start when researching a broad topic, important event or figure in history is at the Topics Page on Chronicling America. Here you’ll find sample articles and search strategies. An example about April Fools’ Day is below. Vermont has one all French title, Le Patriote Canadien, available. 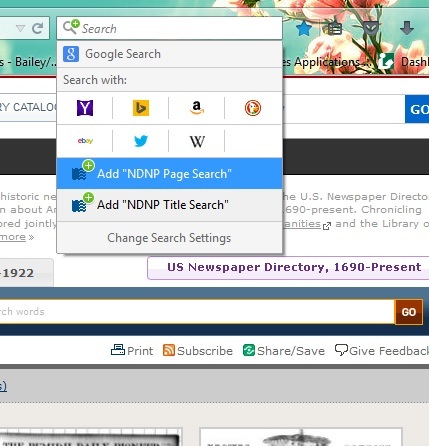 Did you know that under the “Advanced Search” setting, you can search specific newspapers? To look at several newspapers, just hold down shift and click all the newspapers you want to search. This can be useful if you are looking for a local landmark, business, personage, or organizations in a particular town or city. -Names were often misspelled or mistyped: try variations!